2018 is just over and Sheepie Products is already showing its best side. After they showed us the first electric roof tent (Outback Electric) in the market (2015), they have not been idle. Soon the popular Jimba Jimba (in various versions) and the Gascoyne hardcover were added to the range. From January 2019 the Yuna and the Pimbee have been added here. Especially the Pimbee is a novelty as we can expect from Sheepie®. Pimbee roof tent, hard or soft cover? Is it a hard or a softcover? 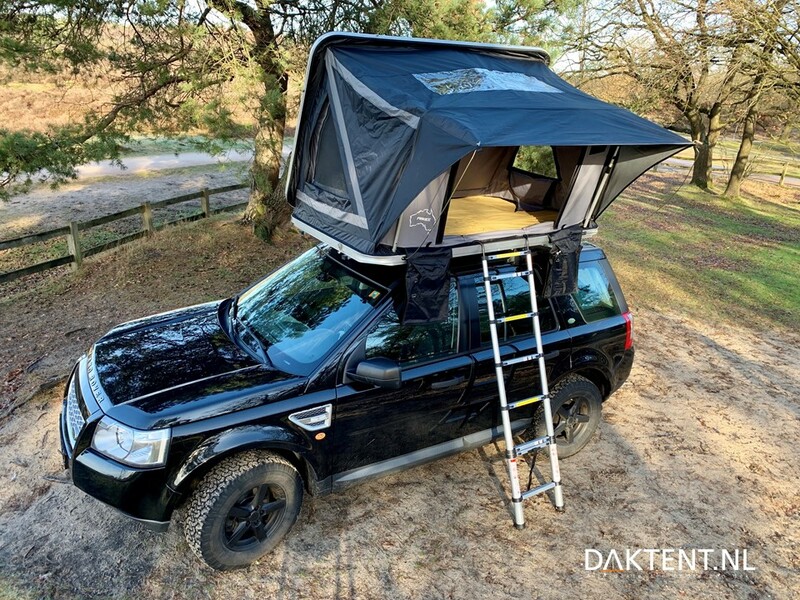 At first glance it seems to be a tight flat hardcover roof tent. If we look further at the Pimbee we are surprised. The cover is made of PVC. The top of this roof tent looks like a hardcover through it is a tightly stretched pvc layer in an aluminum frame. This ensures a lightweight and quick set up roof tent with the advantages of a hardcover. An additional advantage is that the Pimbee is very flat, only 12cm. We expect more manufacturers to follow with this innovative cover, since the biggest drawback of the already existing hardcovers is the weight. The Yuna roof tent is the new brother of the Jimba Jimba. With the same type of frame, Sheepie® has also managed to limit the weight to just 47 kilos (including ladder). 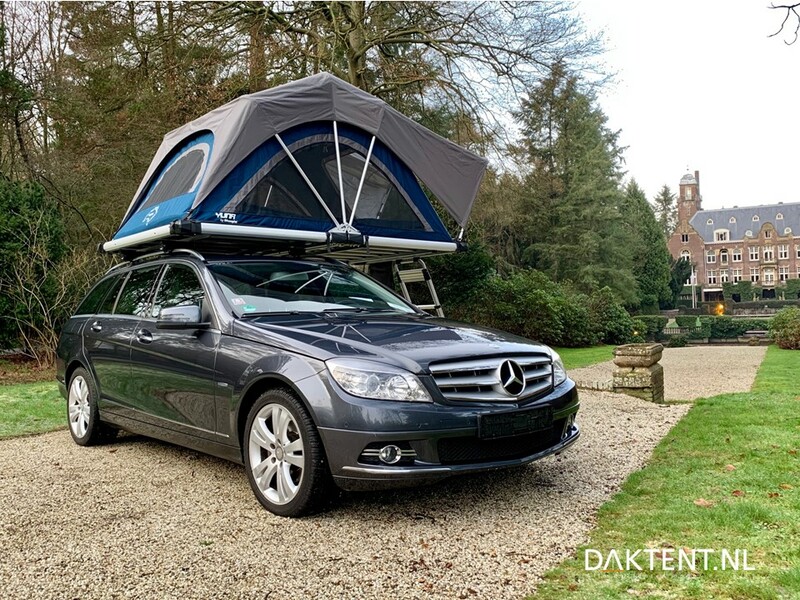 The Yuna is in contrast to all previous models of Sheepie a folding roof top tent, which means a small package on the roof during transport, but once folded out there is a mattress space of ​​140 x 250 cm or for the larger version even 160x250cm. By adding the Yuna to the range, Sheepie Products now has a suitable solution for every type of car. The Pimbee and the Yuna can both be admired in the showroom of Rooftent.co.uk in Baarn (The Netherlands). The Yuna 140 is available from March / April 2019, the Yuna 160 will follow and the Pimbee roof tent will arrive on the European market in the course of 2019. Preorders are already possible. Curious about all models from the Sheepie® range? They can be admired in our roof tent showroom in Baarn (The Netherlands). Pimbee roof tent – Hard- or softcover?